Time for a new thread, as the title says. Well today i started filling up some dings and scratches on Cookie. Guilherme Chagas and 73kombi like this. I drove Max to work, then home. When I got home I tried to figure out why it's idling so high, just like the last three nights... no success. Off to get a timing light tomorrow so I can set it right? Debstar, JaneC, evan&janine and 2 others like this. I lay on my back on her floor whilst my little girl climbed all over the seats.and my dog just chilled.next to me. Debstar, Natalie85 and 73kombi like this. Unplug the idle controller on top of the motor, and see if it drops back down to normal revs. I just had one fail here the other week, with symptoms identical to your description. So to keep on topic - I replaced an idle controller. 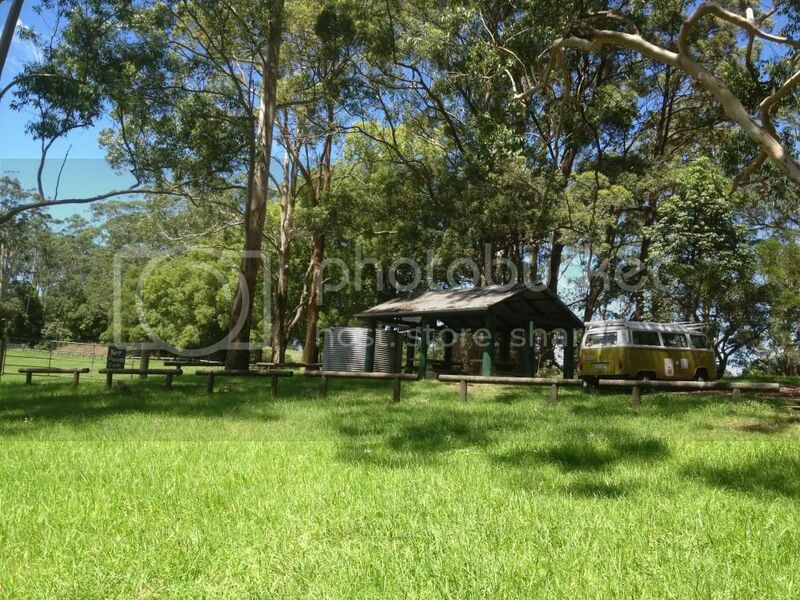 I drove her over to Yeppoon to do some shopping and just did some general cruising along the beautiful beaches up here, took her home and as i reversed her in the carport i thought proudly (like a doting mother )....."What a banger" .. now i finally know what love is ...... owning a kombi!!!! Debstar, JaneC, chris taylor and 1 other person like this. Glad you are finaly getting some joy from her. I tried to figure out how to mount all the seatbelt points and baby anchor points safely, without too much cutting and welding and without being in the way of rear seat passengers. But loving the new 2/3 middle seat. Looks like a real bus now but still really roomy. Cathy is washing out the inside of Cookie and then the curtains and bed goes back in. Just fitted a new glove box lid and clutch pedal rubber. I have an engine lock to fit but thus far its got me stumped. Took it out to grab a coffee and shopping and kruize in the morning then in the pm loaded him up with mower, sniper, blower and went a mowed the SiL lawn. Looked at him and thought he needs a good wash which is on the list of to do's when the showers stop. Just took Kev to Leon's Motors. We went for a drive on the weekend to Crows Nest and Toowoomba and he chugged a bit. He's a bit like me - old and at times dithery. Beautiful drive from Brisbane though. Went up through Esk to Crows Nest. Everything's so green and lush. Best part is that the climb was gradual so we only had to go down the range from Toowoomba, not up. Tried posting a picture of our lunch stop but Photobucket might have me beat again. Slapped it around with a rag full of Acetone. Still would not comply! New wheel bearings on the front, now for a test drive this weekend. It worked on Photobucket..... nice spot! Got the Melways out to photocopy some pages. That was you. I was the bus in the park just beyong the weir. Giving the little one and the dog a chance to stretch their legs when you drove through.